Precise control and operator comfort is guaranteed with this new ATC combi-hammer. 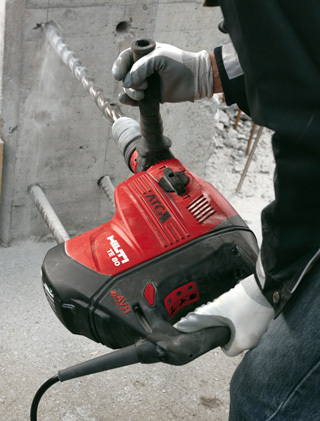 Capable of hammer drilling up to 150mm cores in concrete, stone and masonry. This drill features active torque control to minimise the effect of drill bit jamming.